For 17 years Bill Lerner has been working on Wall Street in sell side research and today is a principal and analyst with Union Gaming Group ̶ the independent global gaming investment bank that he co-founded in 2009. Before that he served as managing director and senior gaming and lodging analyst with Deutsche Bank Securities after spending 10 years at Prudential Securities and Deutsche Morgan Grenfell. 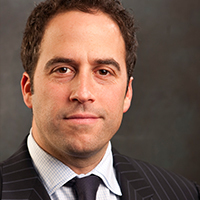 He has been recognised as part of Institutional Investor's 'All American Research Team' and in the Wall Street Journal as 'Best of the Street'. He holds an MBA from Boston University and a BA from Syracuse.